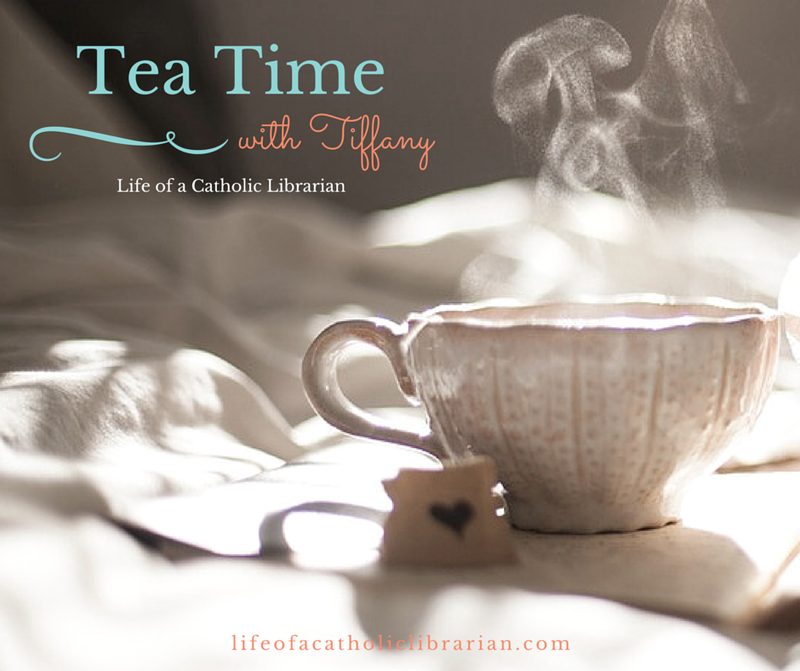 Life of a Catholic Librarian: Tea Time with Tiffany #104 - Summer meetups, and summer creativity! Tea Time with Tiffany #104 - Summer meetups, and summer creativity! Today I talk about tears following Sam's departure, a writing progress update, summer dancing gigs in full swing, a spurt of baby knitting, and tons of good novenas coming up. Join me! On my Bookshelf - Harry Potter for the foreseeable future, and of course, The Well. Also saw The Photograph by Beverly Lewis on sale this week, she's one of my original Amish authors! The Kindle edition is currently $1.99. 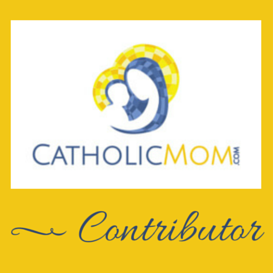 Prayer Closet - My Catholic Mom piece on St. Dymphna's patronage and chaplet. And happy feast of St. Kateri! Also, St. Anne novena starts soon. 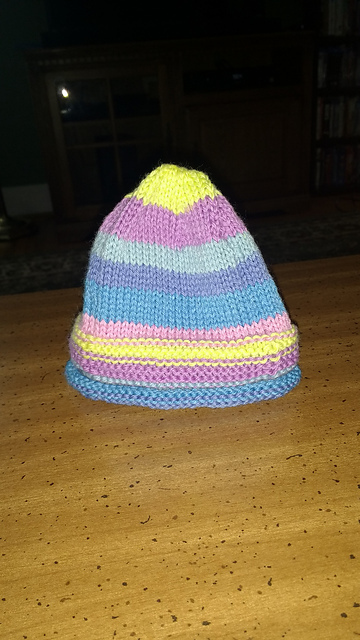 Creative Commons - Knitted a striped baby hat for a friend. The pattern is free, and is Baby Bow Tie Hat. (I eliminated the bow tie for this particular hat, I've made it many times! Easy to customize). The yarn is self striping, and is Felici, available from Knit Picks. Here is the link to the worsted weight version, now on very good sale! Love Knitting Christmas in July email, with baby projects! What's going on with you, dear ones? Write in and let us know!